Xero will automatically add the redundancy amount in Lump Sum D box on the PAYG summaries and will add the unused annual and long service leave in the Lump Sum A box on the PAYG summaries. If you have processed an ETP Xero will issue a separate ETP summary for the terminated employee.... Xero will automatically add the redundancy amount in Lump Sum D box on the PAYG summaries and will add the unused annual and long service leave in the Lump Sum A box on the PAYG summaries. 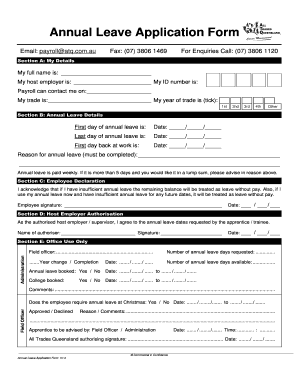 If you have processed an ETP Xero will issue a separate ETP summary for the terminated employee. To hopefully be released before the end of the year, it'll include leave balances. Until then, if you need to pay out an employee - have a look at this Help Centre page …... 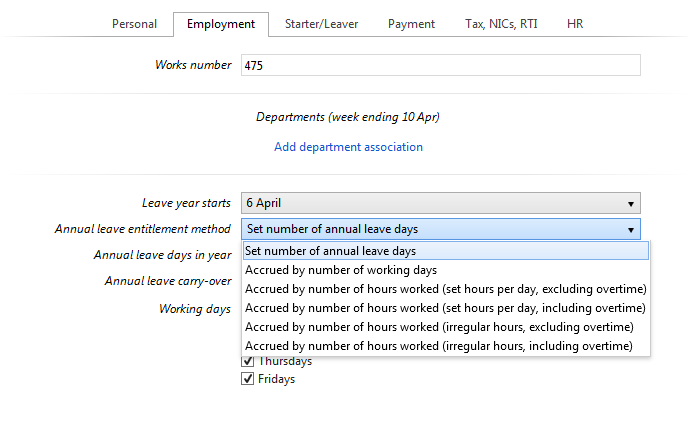 The NES establish the minimum entitlements to annual leave, how and when annual leave can be taken, and the pay rate employees should receive. The NES also set out what happens with annual leave when there is a transfer of employment, and the arrangements that apply to the cashing out of annual leave. If you are exporting leave (Australia only), you may export Annual Leave, Personal/Carer's Leave, Compassionate Leave, Community Service Leave, and Long Service Leave. To prepare these leave types, please follow the steps in our leave management article.